New Delhi, April 14: The India Meteorological Department (IMD) on Sunday predicted a rough-weather in North and Northwest India for the next three days. The official weather forecast agency issued a statement claiming that dust storms, rains and thunder showers are likely to hit parts of Delhi, Haryana, Punjab, Rajasthan, West Madhya Pradesh and West Uttar Pradesh. The IMD warning comes amid rainfall being witnessed in some Northeastern, central and southern states over the last couple of days. Thunderstorms were witnessed in Bihar, Kerala, Jharkhand and Telangana, along with the interiors of Karnataka and Maharashtra on Saturday. Travel Tip of The Week: Wayanad to Shillong, 6 Hill Stations in India That You Should Visit to Feel The Chill This Summer. The Met department has cited western disturbance -- a cold wave originating from Mediterranean region and bringing rains to the subcontinent -- as the reason for the odd weather conditions in mid-summer. "Western disturbance is likely to affect the western Himalayan region and northwest India from April 15 and cause enhanced rainfall activity with probable thunder squalls and hailstorms over Jammu and Kashmir, Himachal Pradesh, Uttarakhand, Punjab, Haryana, Chandigarh and Delhi, Rajasthan and Uttar Pradesh on April 16," said the IMD weather bulletin. 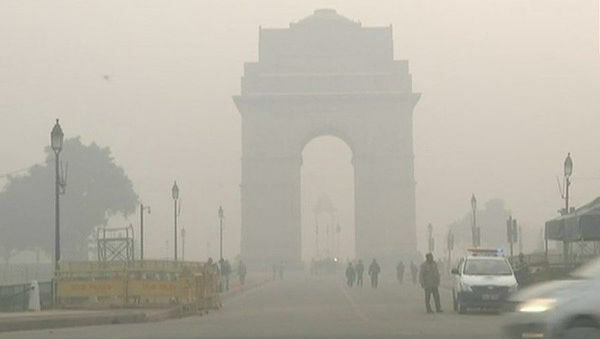 As per the weather forecast, dust storm along with winds flowing at 40-50 kmph will first hit Delhi and parts of northwest India on Monday; followed by showers accompanied with wind at 60-70 kmph in other parts of the North. In Jammu & Kashmir, Himachal Pradesh and Uttarakhand, rainfall along with short spells of hailstorms are predicted.